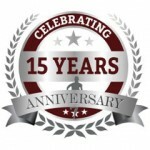 Massage Therapists & Fitness Coaches. Price Chiropractic & Fitness has been serving the community since 2003. Our professional and caring health team has helped many people achieve healthier and happier lives. When we feel better we live better! 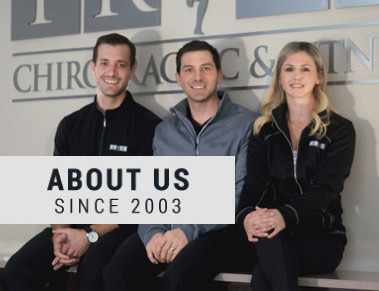 We offer many services including Physiotherapy, Massage Therapy, Chiropractic, Acupuncture, Active Release (ART), Personal Training & Group Fitness Classes, Corporate Wellness, Prenatal and Pediatric Care, Concussion Management, Nutritional Cleansing & more! Our health team is dedicated to providing you with the best experience. From our amazing front desk team to our highly skilled practitioners and fitness coaches, our purpose is to inspire you to move, feel and be your best. WHY CHOOSE Price Chiropractic & Fitness? Multidisciplinary Team– our caring, professional & experienced therapists have helped thousands of people. As a comprehensive multidisciplinary clinic PRICE offers Physiotherapy, Chiropractic, Massage & Fitness all in one place. Our team will customize a plan for you based on YOUR health care goals. 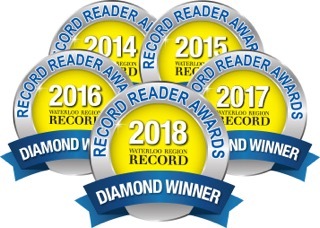 5 Star Reviews– For the past 3 years we have been voted #1 Chiropractic Clinic in Waterloo Region. We are proud of our Google Reviews that highlight why so many people are happy with the care & service they experience at PRICE. 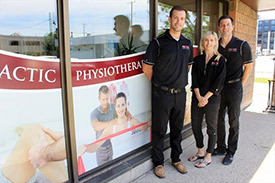 Unique Brand of Chiropractic– the Chiropractors at PRICE are trained in many different techniques. Treatments includes a combination of soft tissue therapy, adjustments, rehab exercises & acupuncture. Back pain, neck pain, headaches & sciatica are some of the most common conditions we see. As musculoskeletal specialists we also assess and treat hips, knees, shoulders, feet, TMJ etc! Extended Health Insurance– covers most services. We also accept MVA & WSIB cases. New Patient's Welcome– We offer many services & techniques to accommodate all ages, so everyone you care about can make us part of their health care team. Established– serving Waterloo Region since 2003 we are conveniently located in the heart of Waterloo close to the Universities with free parking in a beautiful modern facility. 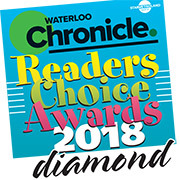 Price Chiropractic and Fitness Recognized by Waterloo Chronicle for "Changing with the Times"
The focus on athletic care makes Dr. Jason the premier choice for athletes looking to stay healthy and active. He focuses on utilizing the most effective current treatment methods. Supportive, personal, caring, smart and effective! Never been in a club that creates such a positive environment that you look forward to getting there every time. Your classes and instructors are wonderful! I love going to Price Chiropractic & Fitness because the classes are so effective, fun and your instructors are the best I’ve encountered in years of going to many classes at other gyms. I can’t say enough about Price Health Centre. Jason, Tara and their team are amazing! Jason has helped me manage my back pain and is working on my wrists…last update from my surgeon “NO carpal tunnel surgery!” Thank you for all that you have done for me!! I have been coming to Price for over 8 years, and I now bring my 4 children with me. We receive such kind and gracious service when we come and we always look forward to seeing ‘Doctor Tara’. The Fitness team at Price are outstanding. True professionals. I would recommend them to anyone who is interested in getting into serious shape or ready to take their fitness to the next level. They leave no stone unturned and make sure you get the most out of each session.